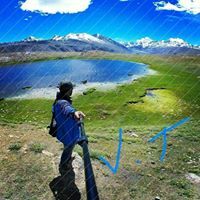 Is it safe to do the Churdhar Peak Trek in January? Does it snow? Is the any food and stay option on the top and would that be open, or is taking your own camp the only option? Not at all, you'd find nothing at top. You need a guide in winters and you've to carry everything like Ration, Stove, Fuel & camping equipment. You can try 73800 87934 to book Churdhar Snow Trek.